Exhibits and performances throughout 2017, with the audio tour on view through Spring 2018. The residency was written about in a lovely Westword magazine article. An audio tour that guides visitors through the library's spaces and collection, merging fact and fantasy. Inspired by artist Janet Cardiff's 'Walks'. A community participation project linking graphic scores, improvisation, and sculpture. Library visitors added large gestures onto paper that were interpreted by musicians. 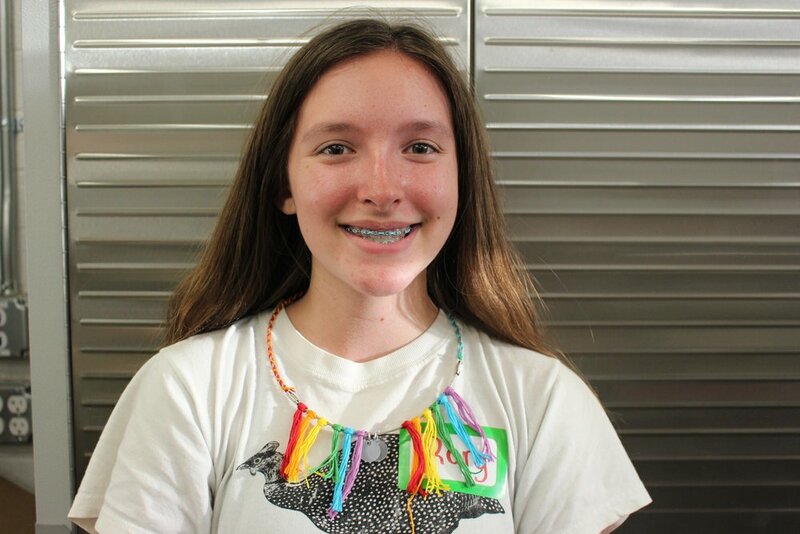 A workshop using laser-cut acrylic, bells, and other tools to make music-inspired wearables. Taking the public on a walk around Boulder, collecting the sounds heard, then translating them into a choral performance as a "portrait" of the city.